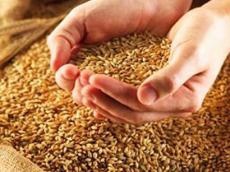 The Economy Ministries of Russia and Turkey will soon hold consultations on the grain supply, Russian Deputy Minister of Economic Development Alexei Gruzdev said on March 29, RIA Novosti reported. The contacts with the Turkish Economy Ministry are being maintained and consultations, during which the sides will discuss further interaction, are expected to be held soon, he said. The level of consultations has not yet been confirmed. Probably the talks will take place in one or two weeks at the level of deputy prime ministers with the participation of the Ministry of Economic Development and Trade, the Ministry of Agriculture, according to Gruzdev. He added that it is necessary to discuss the legal aspects of the issue and implementation. Gruzdev also noted that the loss of Russia as the main grain supplier will cause quite significant economic damage to Turkish exporters, who process these products and then export. Turkey from March 15 suspended the issuance of licenses for duty-free supplies of wheat, corn and sunflower meal from Russia. Earlier, Turkish importers and processors could carry out duty-free import of Russian products to Turkey on the basis of issued licenses for import of agricultural products in the "internal processing" mode. Now the duty is valid for any import of agricultural products from Russia to Turkey. Currently, a 130-percent duty is in effect on such Russian exports as wheat and corn, rice – 45 percent, sunflower oil – 36 percent, sunflower meal - 13.5 percent, and more than 9.5 percent - for legumes. Russian Ministry of Agriculture last week said that such decision of Ankara could lead to a complete cessation of imports of Russian wheat, corn, legumes and rice to Turkey. The Ministry also described the duties imposed by Turkey on Russian imports as pressure and stated that it rejects such way of returning prohibited Turkish products to the Russian market.